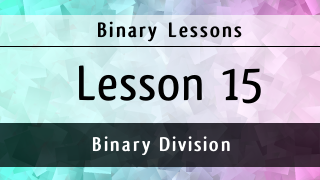 Binary division is an excellent way to practice an understanding of bits and binary values. Is one binary value larger than, smaller than, or equal to another? This requires a good understanding of the binary place value system, and the better it is memorized, the easier binary division will be. Also, binary division offers extensive practice with binary subtraction. We saved binary division until after we had introduced at least two methods for binary subtraction because the most involving part of binary division is the subtraction itself. Sometimes, we must also add a radix point for values not easily divisible by the given number. If this happens, keep in mind that an exact value might not be possible, as in the case of irrational numbers, so it will be necessary to stop at a certain number of digits for a close approximation. The exact point at which this occurs will depend upon experience…or if your fingers get tired, or if you run out of pencil lead, or if you get lost in the seemingly endless series of zeros. Those with fond memories of the simplicity offered by GNOME 2 during the Ubuntu 10.10 glory days should feel somewhat comfortable with the MATE desktop environment. There is much to like about GNOME 2 before Ubuntu switched to Unity and GNOME 3, and MATE attempts to preserve the traditional GNOME 2 experience on today’s Linux distributions. While MATE can be installed separately in practically any Linux distribution, Ubuntu MATE is an Ubuntu distribution that offers MATE out of the box. 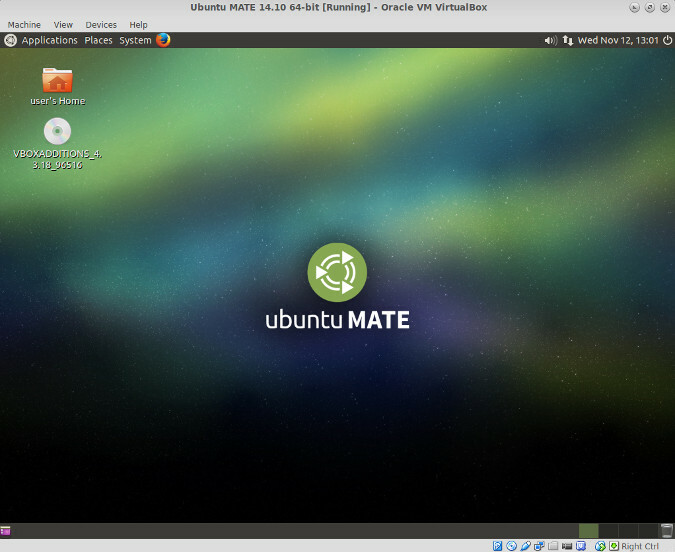 With 14.10 now available, I tried Ubuntu MATE 14.10 in VirtualBox to see how it would perform. How does it install? What does it look like? Here are a few thoughts. Spare hard drives can accumulate over time as they are replaced with better, faster drives, so why not put them to use as external drives using an external USB enclosure? Linux has excellent USB 3.0 support, and with it, external USB 3.0 SATA drives can enjoy the same speedy transfer rates as they do when connected directly to the motherboard. The choice of case is important, and one Linux-compatible case I am pleased with is the Sabrent USB 3.0 hard drive enclosure . This sleek, brushed aluminum case is available in three different colors, and it breathes new life into a spare 2.5″ hard drive. 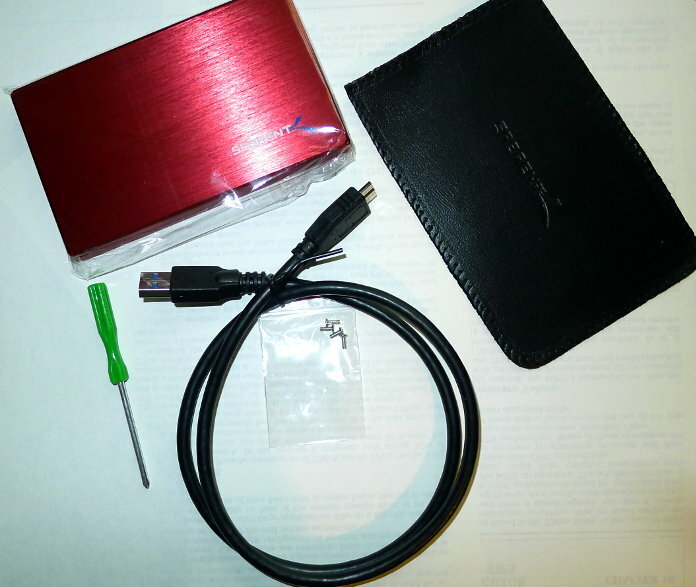 After installation, the drive can be used like any other external USB drive, and since it utilizes USB 3.0, transfer rates are as fast as the hard drive will allow. Here are my thoughts after using this enclosure with a 320 GB Seagate 2.5″ hard drive and Linux Mint 17. In Lesson 10, we saw how to perform binary subtraction using a set of rules for each column of bits. 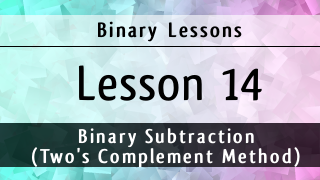 Now that we have seen how to use signed numbers in binary, we can subtract in binary by performing algebraic addition using the two’s complement method. Neither technique is more correct than the other. They are two different ways that produce the same result. Personally, I find the two’s complement method to be easier to compute than the longhand method. It might sound conflicting to “subtract” by “adding,” but that is what we are doing when we add two signed numbers together with opposite signs. (+5) + (-3) = 2, which is the same as 5 – 3 = 2. Same result, but two different thought processes.